• CPA (Credit Processing & Appraisals) services involve complete end to end back office processing and analysis of applications to determine the credit worthiness of the applicant. 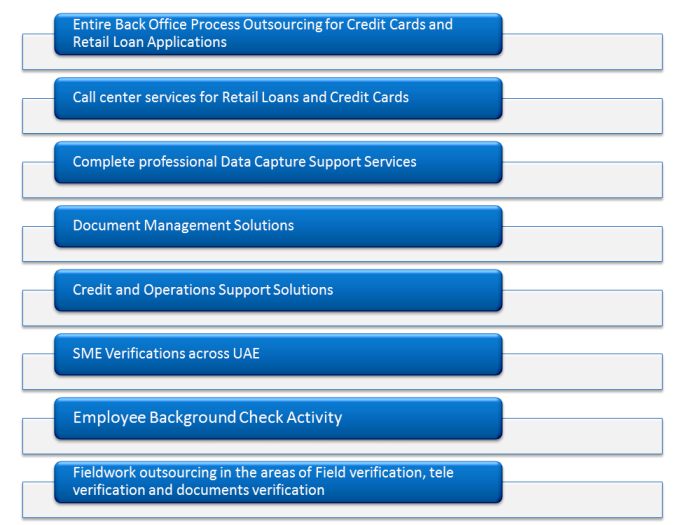 • CPV (Customer Profile Validation) services involve verification of KYC details furnished by applicant. CPV services include field verification, tele-verification and documents verification. • Resource Support involves providing manpower support to customers.